Access All Areas members are being treated to a fantastic premium design resource product this week, courtesy of Dealjumbo. This pack of Marquee Light Bulb Letters contains a set of ultra-realistic vintage style bulb signs, comprising of A-Z characters and 0-9 numbers. Each letter comes as a 1000x1000px PNG file with transparent background, so you can easily lay out the letters to light up any words you need within your design projects. Dealjumbo bring you exclusive deals and freebies from the best graphic designers and artists from all over the world. Find a range of premium design resource products, such as fonts, graphics, mock-ups, photos and textures with big discounts and extended licensing. 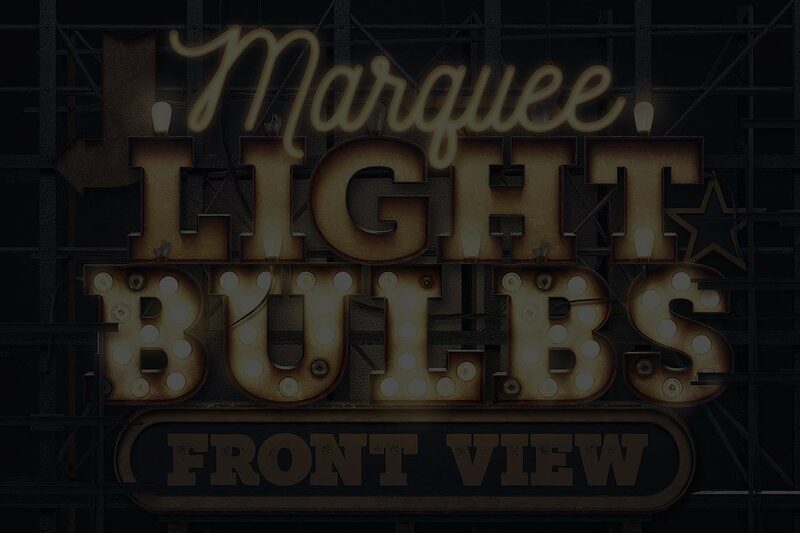 Check out the full bundle of this Marquee Light Bulb Letters pack to find an array of extra letter styles and components for the discounted price of just $19. These Marquee Light Bulb letters feature incredible realism and have been designed with a vintage style with dirty textured surfaces and a number of broken bulbs to add to the aged and distressed appearance. Being regular PNG graphics means they’re 100% compatible with all image editing applications. These are so cool! I had seen them, but, never stopped and looked. Thanks to DealJumbo and to you, Chris! Thanks so much, Chris, for the fabulous share. Superb!! Wish I’d had these a few months ago!! Awesome Marquee letters. Now, I want them for my computer shelf now.